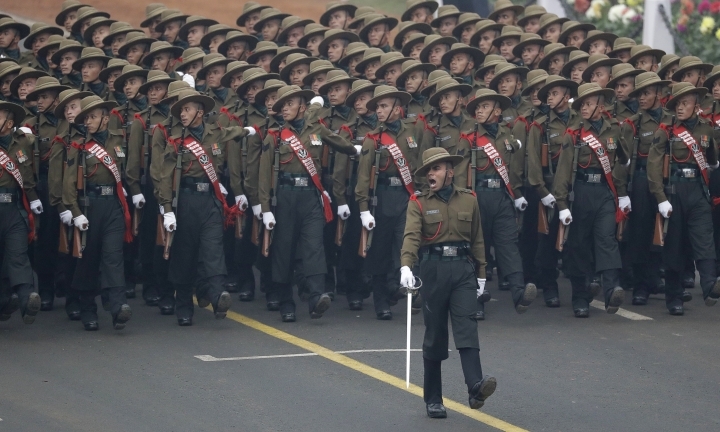 NEW DELHI — India celebrated the anniversary of the day its constitution came into effect Thursday with an elaborate display of military hardware and cultural events. 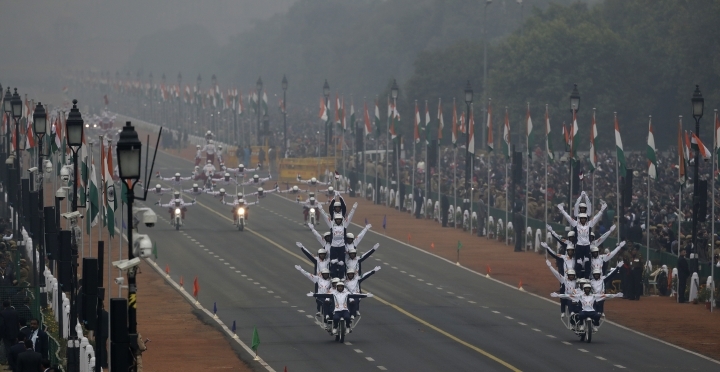 The annual celebration included floats from the various Indian states and its defense and police forces. Abu Dhabi's crown prince, Sheikh Mohamed bin Zayed Al Nahyan, was the guest of honor at Thursday's parade. 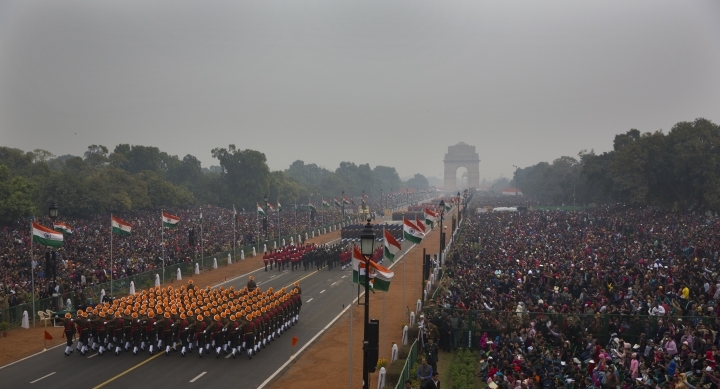 A contingent of soldiers from the United Arab Emirates joined Indian troops in the celebrations, attended by top Indian government and military officials as well as diplomats and thousands of ordinary people. 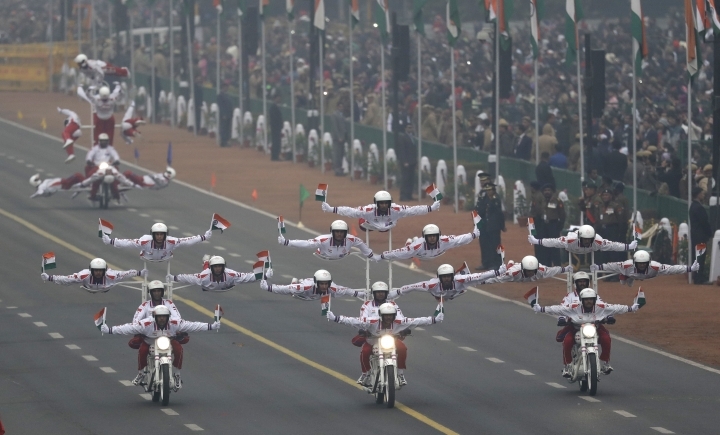 The parade, which made its way through the wide, tree-lined roads of central Delhi, included acrobatic stunts on motorcycles, aerial displays and gallantry awards for the military. 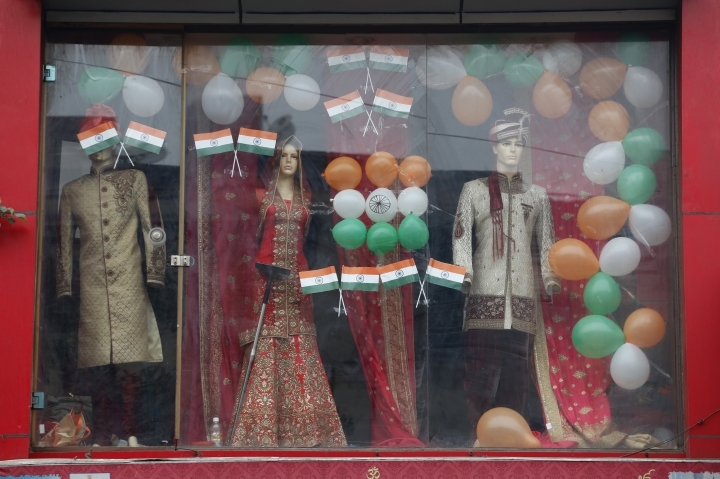 Last year, French President Francois Hollande was the guest of honor. In 2015, former President Barack Obama viewed the display. 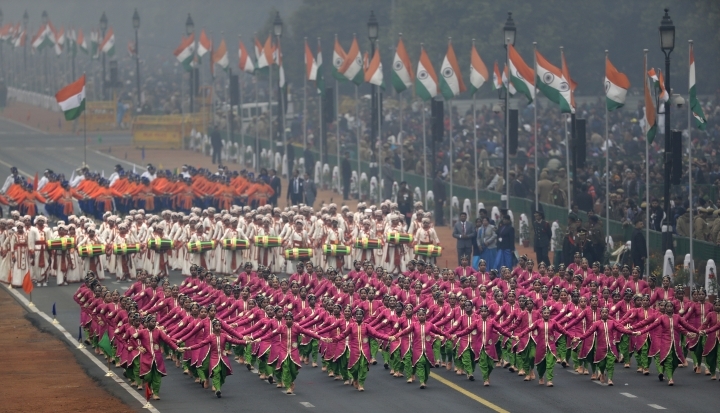 India's constitution came into effect on Jan. 26, 1950.